Hyperion Books for Children, 9781423114376, 40pp. Wilbur is different from the other Naked Mole Rats in his Colony, because he wears clothes (and he likes it!). But what will happen when Grandpah, the oldest, wisest, and most naked Naked Mole Rat ever discovers Wilbur's secret? 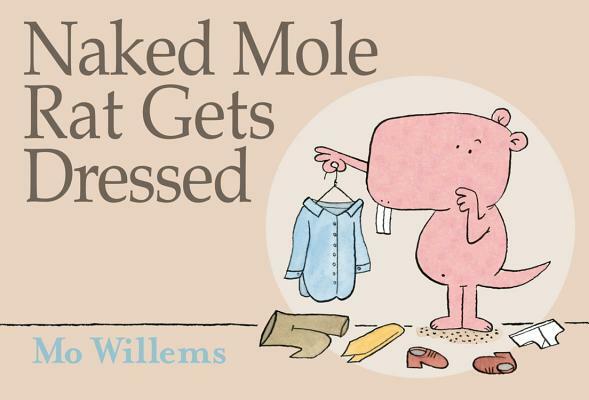 Funnyman and three-time Caldecott Honoree Mo Willems exposes the naked truth about being yourself and wearing it well. Number one New York Times best-selling author and illustrator Mo Willems started his career on Sesame Street, where he garnered six Emmy Awards for his writing before changing the face of children's literature with his groundbreaking picture books. Mo has been awarded a Caldecott Honor on three occasions (for Don't Let the Pigeon Drive the Bus!, Knuffle Bunny: A Cautionary Tale, and Knuffle Bunny Too: A Case of Mistaken Identity) and his acclaimed Elephant and Piggie early reader series received the Theodor Seuss Geisel Medal in 2008. He lives with his family in Brooklyn, New York.